In recent years the essential oil industry has really taken off. New companies have jumped on the band wagon with great fervor and consumers can now find essential oils at shopping malls and big box stores. 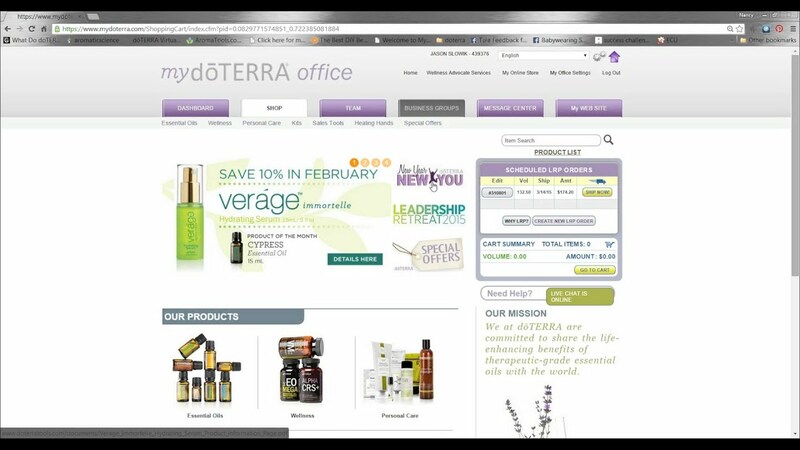 In such a booming industry, doTERRA International, a Utah based direct sales essential oil and wellness company, has set itself apart from the competition in large part due to its integrated use of social media to educate and engage consumers about the company, its sourcing practices, product development and philanthropic work. From a grass roots company founded in 2008, it has now surpassed the billion dollar sales mark and expanded its global reach to over 3 million customers spanning 100 countries in less than ten years. While their accomplishments are directly related to developing and sustaining their own product supply chain, it is safe to say the company’s efforts in social media aimed at bringing the supply chain to life, ongoing customer engagement and collaboration, as well as the continual education made available have all had a significant impact on their success. Recently ranked #10 Best Midsize Employer on the annual Forbes List, it’s clear that doTERRA is doing something right in terms of meeting the needs of its 1,650 on-site employees. However, its sales are reliant on the more than one million independent distributors who align themselves with the essential oil and wellness company. Based in more than 100 countries, through an enterprise private network referred to as the Back Office, doTERRA is able to keep in constant contact with its representatives and regular purchasers. The integrated back office not only allows representatives to connect directly with doTERRA, it also provides the opportunity to connect with other members anywhere in the world. Further, it provides all the links to its social media platforms as well as its electronic information related to product development, sourcing, philanthropy, etc. The company uses Facebook, Twitter, Pinterest, YouTube and Instagram to share content with a strong focus on videos. The concept of using social media for product development is still rather new. Amy Kenly notes in her blog article ‘Social Media and Product Development – from Theory to Practice’ that there has been much research on the trends of social media to support the adoption of various mass collaboration platforms to create, share, discuss and co-develop ideas and information. DoTERRA has put this concept into practice from the very beginning through its presence on social media not as simply an information provider, but as a company that welcomes input and discussion to improve upon products and create products to fulfill consumer need. The company uses its annual convention to announce new products – many of which are based on the feedback collected from customers and independent retailers through social media platforms and live online chat. In 2015, the company announced the launch of a new Breathe stick enabling users a natural easy to use alternative to a Vicks Vapor Rub. This year the company released a new touch kit to address some users were concerned about the ease of use of the oils as well as ensuring the oils were properly diluted. An integral part of the company’s mission is to educate and social media is a vital tool that has enabled the company to enable the public to understand what goes into the growing, distilling and testing of essential oils for purity and potency. Through short videos, interactive Q and A sessions and regular blog posts – all available through doTERRA’s numerous social media handles, the company has been able to take users behind the scenes to experience first-hand the various processes it takes to get an essential oil ready to be sold. “The videos are a great way to learn the basics on essential oil science,” Teresa says. Microbial testing, gas chromatography, mass spectrometry – those are just a few of the many tests the company undertakes to ensure the quality of its essential oils and through social media users can access easy to digest information on each. Of course for those interested in furthering their knowledge have the opportunity to access social media platforms specific to the science including the opportunity to visually tour the laboratories. DoTERRA was built on the mission of sharing therapeutic grade essential oils with the world. In order to provide the highest quality and purest essential oils, the founders knew that they had to work directly with the growers to ensure that they could provide a top quality product. The company takes great pride in the work it has done to develop relationships with farmers across the globe. Video footage of doTERRA representatives visiting the farmers, as well as direct interaction with the artisan farmers who work with doTERRA and have benefited from its co-impact sourcing operations, provide a small glimpse into another world but garner a huge impact for the company when shared through social media. For the supply chain to be successful, it’s not just about finding the right plants that were grown in their indigenous soil under ideal conditions, then harvested at the opportune time with appropriate farming techniques. It’s also about ensuring that the demand for supply can continue to be met while maintaining the same quality and consistency. To achieve this, doTERRA has worked tirelessly to develop relationships with farmers and growers in countries where the population faces economic and environmental challenges. How do I know this? Easy, it’s highlighted on Facebook, Instagram and Twitter. Through frequent videos, doTERRA representatives and consumers can see first-hand how their products are grown and harvested, as well as the impact their purchase is making in the lives of others. In addition to the professionally produced material, doTERRA has incorporated their supply chain management into individual social media accounts from the founding members who use their teams to share immediate supply chain details that may impact the company. Not only do such social media interactions keep customers and distributors up to date on the current status of the supply chain, it also serves to help garner support for the company’s philanthropic efforts in that community. Just this month, at a United Nations forum, Forbes journalist Devin D. Thorpe noted the work being undertaken by doTERRA on a global level through its Healing Hands Foundation and Co-impact Sourcing to aid those in third world countries. Without the interconnectedness provided by social media, it is hard to fathom that a Utah based essential oil company would be featured as a prime example of philanthropic corporate giving at the United Nations. It has been noted time and again that social media can aid in sales and marketing. Jacey Johnson notes in his article Integrating Social Media Strategy Into Your Business Plan that organizations do best venturing away from this typical social media use when they have a social media strategy which “is tailored in line with their organizational goals”. doTERRA is one company that validates this statement and in time, many companies will likely follow suit. As social media continues to be incorporated into everyday life in a growing number of areas, so too will companies begin to see the value in not just marketing through social media but looking at social media for the whole enterprise.